Conference Series Llc Ltd is happy to announce the "World Conference on Diabetes and Heart congress" scheduled on October 23-24, 2019 in Zurich, Switzerland with a theme, “Collaborative Strategies and Innovative Approaches to fight Diabetes and Cardiovascular Disorders”. Conference Series Llc Ltd organizes a thousand International Conferences each year across USA, Europe & Asia with support from a lot of scientific societies and publishes 500+ Open access journals that contain over 50000 eminent personalities, 50,000 acknowledged scientists as editorial board members and five million readers. Diabetes is a common disease with a rapidly increasing prevalence. Diabetic patients are at markedly increased risk for development of coronary artery disease(CAD) and heart failure and, further, when they develop these diseases, they have worse outcomes including higher mortality. These mandates associate an aggressive approach to reducing vessel risk altogether diabetic patients. Good evidence has shown that tight blood pressure (BP), lipid and glycaemic control, as well as smoking cessation, all substantially decrease the risk of cardiovascular disease and death. There are two major types of diabetes. In type 1 (formerly called juvenile-onset or insulin-dependent) diabetes, the body completely stops producing any insulin, a hormone that enables the body to use glucose found in foods for energy. People with type 1 diabetes must take daily insulin injections to survive. This form of diabetes usually develops in children or young adults but can occur at any age. Type 2 (formerly called adult-onset or non-insulin-dependent) diabetes results when the body doesn’t produce enough insulin and/or is unable to use insulin properly (insulin resistance). This form of diabetes usually occurs in people who are over 40, overweight and have a family history of diabetes, although today it is increasingly occurring in younger people, particularly adolescents. “World Conference on Diabetes and Heart congress 2019” includes Keynote presentations, Speaker talks, Poster presentations, Exhibition, Symposia and Workshops. This congress will help in networking and teaming up with diabetes, obesity and heart experts, leading renowned speakers, cardiologists, diabetologists, nutritionists/ dieticians, doctors, scientists, physicians, surgeons showcasing their research from USA, Korea, Australia, Singapore, Germany, Denmark, Canada etc. Be a part of this exciting event where innovations, advanced practices and researches on various divisions of Diabetes, Obesity and Heart shared and discussed by experts across the globe. Medical doctors, patients and health care providers take into account the prevention of diabetes & metabolic syndrome as a vital tool to enhance the overall health status of the population. The proportions of individuals affected by diabetes, high blood pressure & Metabolic Syndrome are expected to extend in future according to a recent statistical survey. Realizing this imperative, Conference Series Ltd is ready to organize "Global experts Meeting on diabetes, hypertension, Metabolic Syndrome" for the coming year with a view to boost research and promote awareness aiming in developing solutions for the challenges encountered. Keywords: Diabetes, Cardiovascular disease, Epidemiology, Prevention, Risk factor modification, Blood pressure, Lipids, Glycaemic control. 29th World Diabetes & Heart Congress July 24-25, 2019 Melbourne, Australia , 12th International Conference on Diabetes & Metabolism September 18-19, 2019San Francisco, USA , 31st International Conference on Pediatrics & Adolescent Diabetes August 12-13, 2019 Tokyo, Japan , 15th World Congress on Endocrinology & Diabetes September 20-21, 2019Prague, Czech Republic , Euro Diabetes Congress & Expo September 21-22, 2019 | Prague, Czech Republic , Global Congress on Endocrinology and Gynecology October 14-15, 2019 Sydney, Australia, 30th International Congress on Prevention of Diabetes and Complications October 21-22, 2019 Zurich, Switzerland , International Conference on Diabetes and Cholesterol Metabolism November 25-26, 2019 Dubai, UAE , Global Summit On Diabetes & Endocrinology November 25-26, 2019 Yokohama, Japan , 14th European Diabetes and Endocrinology Congress December 02-03, 2019 |Barcelona, Spain , 3rd Annual Congress on Diabetes and Its Complications December 04-05, 2019 Tokyo, Japan. High levels of sugars or glucose in the blood lead to such a chronic condition called diabetes mellitus. High aldohexose in blood could cause eye injury, excretory organ injury, and nerve injury. Diabetes increases the risk of various cardiovascular diseases such as coronary artery disease, heart attack, heart stroke and narrowing of arteries which reduces the blood flow through the arteries. High levels of glucose in the blood can damage blood vessels and nerves causing loss of sensation in sexual organs, which leads to sexual dysfunction. In addition to this, people with diabetes have more chances to develop infections that may lead to allergies. Diabetes is the main cause of cardiovascular diseases, kidney failure, and blindness. Diabetes can also cause foot ulcers and hearing problems, people with diabetes have hearing impairment commonly. Maintaining blood glucose levels, blood pressure, diabetic gastroparesis which has been reported to have the main cause as Diabetes Mellitus and cholesterol at or close to normal can help delay or prevent diabetes complications. Obesity could be a therapeutic condition within which abundance muscle to fat magnitude relation has collected to the degree that it'd negatively have an effect on health. Individuals are by and large thought to be hefty when their body mass index (BMI), an estimation got by isolating a man's weight by the square of the individual's stature, is quite thirty kg/m2, with the very 25– thirty kg/m2 characterized as overweight. Some East Asian nations utilize bring down qualities. Obesity improves the likelihood of various diseases and conditions, particularly it's going to cause. Obesity is usually defined using a ratio of height to weight called body mass index (BMI), which often correlates with a person's level of body fat. According to the federal agency, an adult with a BMI of 30 or higher is considered obese. Obesity will increase the danger of cardiopathy and stroke. But it harms more than just the heart diagnosis and blood vessel system. It's also a significant explanation for gallstones, arthritis and metabolic process issues. In addition to weight gain is a frequent consequence of heart-damaging lifestyle choices such as lack of exercise & a fat-laden diet. Obesity can also cause serious conditions like a coronary failure, in which your heart can’t pump enough blood to the body. Having diabetes or pre-diabetes puts one at increased risk for heart disease and stroke. One will lower its risk by keeping the glucose (also referred to as blood sugar), cardiovascular disease, and blood sterol near to the suggested target numbers the amount instructed by polygenic disease experts for good health. Stroke and coronary heart disease can be caused by the same problem atherosclerosis. People, who have fat, compared to those with a standard or healthy weight, area unit at accrued risk for several serious diseases and health conditions; somebody who is four-hundredth overweight is twice as seemingly to die untimely as is an associate average-weight person. The dangers emerge with BMI and are more noteworthy for corpulent people. Some of the serious health disorders are including Type 2 diabetes, High blood pressure, Heart stroke heart diseases, sleep apnea, metabolic syndrome, fatty liver diseases, Osteoarthritis, Gallbladder diseases, Pregnancy problems, Kidney diseases. Cardiology is a branch of medicine that deals with the disorders of the heart as well as some parts of the circulatory system. The field includes diagnosis and treatment of inborn heart defects, arterial blood vessel malady, heart condition, control cardiopathy and electrophysiology. New technologies as drug-eluting stents, assist devices for the heart ventricle, and novel inflammatory markers, and imaging modalities like resonance imaging and 3D diagnostic technique, provides AN new view of the operating of the guts in health associate degree an unequalled prospect of therapies with that to treat a malady. Heart diseases are a group of disorders of the heart diagnosis and blood vessels. Cardiovascular disease includes arterial diseases (CAD) like angina and infarct (commonly called a heart attack). Other connected diseases embrace stroke, a heart condition, a cardiovascular disease heart condition, rheumatic heart condition, heart disease, heart cardiac arrhythmia, no inheritable heart condition, a control heart condition, viscous pharmacological medicine, arterial aneurysms, peripheral artery sickness, thrombo-embolic disease, and venous thrombosis. The association between polygenic disease and cardiovascular disease starts with high blood glucose levels. Over time, the high aldohexose within the blood will injury the arteries, inflicting them to become stiff and onerous. The longer you have got a polygenic disease, the upper the possibilities that you simply can develop cardiovascular disease. Fatty material that builds abreast of the within of those blood vessels, a condition called coronary-artery disease. This can eventually block blood flow to the guts or brain, resulting in attack or stroke. People with polygenic disease tend to develop cardiovascular disease at a younger age than folks while not the polygenic disease. Your risk of cardiovascular disease with a polygenic disease is any elevated if you furthermore might have a case history of disorder or stroke. In adults with polygenic disease, the foremost common causes of death are cardiovascular disease and stroke. Interventional medical speciality may be a branch of medical speciality that deals specifically with the tubing, a small, versatile tube, based mostly treatment to repair broken or weakened vessels, narrowed arteries, or different affected parts of the heart structure. A large variety of procedures will be performed on the guts by catheterization. The main advantage of using the interventional cardiology approach is that it avoids scars, pain, and long post-operative recovery. Additionally, interventional medical speciality procedure of primary surgical procedure is currently the gold normal of look after AN acute MI. The objective of this track is to know the causes and pathophysiology of obesity, diabetes, and related metabolic maladies, and look for safe medications and therapeutics. Cardiometabolic syndrome (CMS) could be a combination of metabolic dysfunctions in the main characterised by hormone resistance, impaired glucose tolerance, dyslipidaemia, hypertension, and central adiposity. CMS is currently recognized as an illness entity by the planet Health Organization and therefore the Yankee Society of medicine. Investigators in this division also have a special emphasis on women's health and on the developmental programming of metabolic diseases. Our investigators utilize a broad array of analysis tools together with non-invasive imaging, complex whole animal studies on physiology and behaviour, and in vitro and ex vivo techniques. Obesity will increase the chance of heart condition and stroke. But it harms quite simply the centre and vessel system. It's also a major cause of gallstones, osteoarthritis and respiratory problems. Obesity also can lead to heart failure. Having diabetes or pre-diabetes puts one at increased risk for heart disease and stroke. One can lower its risk by keeping the blood glucose (also called blood sugar), blood pressure, and blood cholesterol close to the recommended target numbers—the levels suggested by diabetes experts for good health. Stroke and coronary heart condition are caused by identical downside – arteriosclerosis. 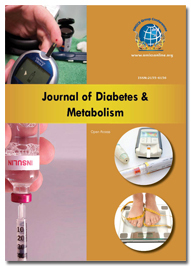 Diabetic patients are at increased risk of developing dyslipidaemia. One mechanism underlying this connection is increased free fatty-acid release present in insulin-resistant fat cells. High levels of free fatty acids promote triglyceride production, which in turn stimulates the secretion of Apolipoprotein B (ApoB) and very LDL (VLDL) cholesterol. High levels of ApoB and VLDL have both been tied to increased risk of CVD. In addition to high ApoB and VLDL, hyperinsulinemia is associated with low high-density lipoprotein (HDL) cholesterol levels. Hyperglycaemia may also negatively impact lipoproteins (particularly LDL and VLDL) through increased glycosylation and oxidation, decreasing vascular compliance and facilitating the development of aggressive atherosclerosis. High circulating FFA’s and triglycerides, increased stimulation of ApoB and VLDL cholesterol, decreased HDL levels and lipoprotein modification have all been appreciated in patients with DM and likely contributes to the high prevalence of CVD in diabetic patients. Diabetes Mellitus(DM) appears to contribute directly to the development of cardiomyopathy(CMP), rather than solely via coronary atherosclerosis and hypertension. This diabetic CMP has been described in many non-invasive studies and includes changes that occur in LV structure and cardiac function of diabetics. Specifically, diabetics tend to have greater cardiac mass, particularly LV mass, than those without DM. This may be related to an increased adipocyte release of cytokines such as leptin and resistin which have hypertrophic effects on cardiomyocytes. One study looking at a multi-ethnic population found that the likelihood of having LV mass that exceeds the 75th percentile is greater in patients with T2DM, even after adjusting for covariates. Patients with DM also tend to have a slightly diminished diastolic function compared to nondiabetics. One possible mechanism could be that increased triglyceride synthesis in patients with DM leads to increased myocardial triglyceride content. 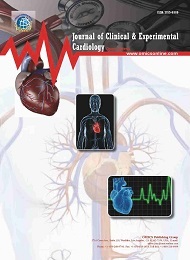 Increased cardiac triglyceride accumulation is associated with lipotoxicity and altered calcium haemostasis in the myocardium, both of which negatively impact diastolic function. This could facilitate justify the finding that 40%-75% of people with DM and no signs of unconcealed arterial blood vessel malady (CAD) suffer from pulsation dysfunction. Cardiovascular autonomic neuropathy (CAN) is common among patients with DM and is correlated with an increased 5-year mortality rate from CVD. The clinical manifestations of CAN are resting tachycardia, postural hypotension, exercise intolerance, abnormal coronary vasomotor regulation, increased QT interval, and perioperative instability. Collectively, the clinical manifestations of CAN are related to an increased risk of renal disease, stroke, CVD and sudden death. The development and progression of CAN are likely related to the dysregulation of the autonomic nervous system (ANS) with increased sympathetic activity and elevated inflammatory markers. As the ANS is responsible for maintaining the activity of the sinus node, end diastolic volume, end systolic volume and systemic vascular resistance, ANS dysfunction can lead to arterial stiffness, left ventricular hypertrophy and ventricular diastolic dysfunction. The incidence of CAN increases with age and inadequate glycaemic control, which places patients with DM at a higher risk of developing both CAN and CVD. Paediatric cardiology is concerned with diseases of the heart in the growing and developing the individual. As well as expertise in heart disease, paediatric cardiologists also need a thorough grounding in general paediatrics, in order to provide all-around patient care. The Division of medicine is to blame for the identification of inborn heart defects, performing diagnostic procedures such as echocardiograms, cardiac catheterizations, and electrophysiology studies, and for the on-going management of the sequel of a heart condition in infants, children and adolescents. The various inflammatory heart diseases include Myocarditis, Kawasaki disease is a rare childhood illness that affects the blood vessels. There are also other pericardial diseases that can present clinically as acute pericarditis, pericardial effusion, cardiac tamponed, and constrictive pericarditis. Infective endocarditis is a form of endocarditis. It is AN inflammation of the inner tissues of the canter. These are the main inflammatory defects for Babies Heart. Paediatric medical speciality could be a medical subspecialty coping with growth disorders and sexual differentiation in childhood, yet as babe polygenic disorder and alternative disorders of the endocrine glands. The most common illness of the speciality is sorted one polygenic disorder, that typically accounts for a minimum of five-hundredths of a typical clinical follow. The next most common problem is growth disorders, especially those amenable to growth hormone treatment There is another type of diabetes that is often misdiagnosed as type 1 or type two polygenic disorder, referred to an as inheritable polygenic disorder that is seen in youngsters. Typical endocrine capacity is fundamental for cardiovascular wellbeing. Scatters of the endocrine framework, comprising of hormone hyperfunction and hypofunction, effectively affect the cardiovascular framework. In this audit, we talk about the study of disease transmission, determination, and administration of scatters of the pituitary, thyroid, parathyroid, and adrenal organs, as for the effect of endocrine brokenness on the cardiovascular framework. We likewise audit the cardiovascular advantages of re-establishing ordinary endocrine capacity. The primary objective of diabetes administration is to re-establish carbohydrate metabolism to as close to a normal state as possible. To accomplish this objective, people with an outright insufficiency of insulin require insulin substitution treatment, which is given through infusions or an insulin pump. Insulin resistance, interestingly, can be redressed by dietary modifications and exercise. Diabetes is a metabolic disease which can be corrected by transplantation techniques. These different kinds of diabetic malady will be prevented by isle transplantation or maybe by artificial exocrine gland transplantation. Cardiac monitoring management incorporates the challenge to manage the distinct heart issue including heart failure, coronary artery disease and so on. Cardiac monitoring can be observed over the telephone, through electronic devices, and it can also be self-managed. Diabetes may be analysed based on plasma and glucose criteria or A1C criteria. Early in disease diabetes shows no symptoms so blood tests are used to diagnose diabetes and pre-diabetes. Clinical diagnostic in diabetes involves taking blood at a healthcare facility centre or commercial diagnostic centre and sending the sample to a lab for examination. To ensure that test results are accurate lab study of the blood of required. Glucose calculating devices used in a health care provider’s office, such as finger-stick devices, are not precise enough for analysis but may be used as a rapid indicator of high blood sugar. Such an area of research is highly discussed in ADA annual meeting. Millions of people are suffering and also trying all kinds of diets, pills, and treatments to clear their mental fog, to boost energy and lose weight. Unfortunately, they will all fail unless they learn how to heal the underlying Diabetes issues. The number of people suffering from Diabetes disorders continues to rise each year. As reported by the World Health Organization (WHO), on an average 1 out of every 13 people are diagnosed globally with Diabetes each year and also projects that diabetes will be the 7th leading cause of death in 2030. 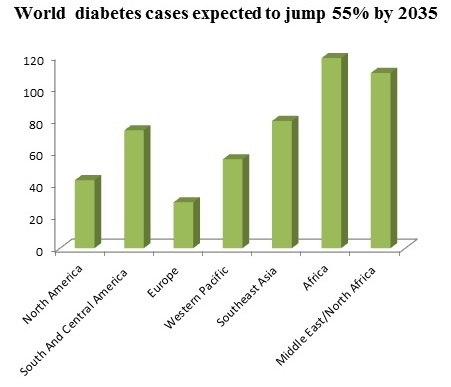 Around 60% of the populations affected with Diabetes diseases are uncaring of the situation. Diabetes Meeting 2019 will feature the latest developments in research, diagnosis, and prevention of diabetes, new insulin analogues, new technologies and devices for diabetic prevention, obesity and many more. Not only will this innovative conference enhance your practical and theoretical knowledge but also provides you with the unique opportunity to network with a wide range of professionals in the field of diabetes. Cardio diabetes 2019 is among the World's leading Scientific Conference. The two-day event on Diabetes will host 60+ Scientific and technical sessions and sub-sessions on cutting edge research and latest research innovations in the field of Diabetes and Endocrinology and relevant biomedical sciences across the globe. This year annual Diabetes Conference will comprise of 18 major sessions and 104 sub-sessions designed to offer comprehensive sessions that address current issues in Diabetes & Cardiology, Cardiovascular Disorders. Conference on Diabetes is focusing on various topics, which will target a higher number of audiences. This conference will provide a platform to broadcast the new advancements in the field of diabetes and Cardiology background. Diabetes conference will bring together academic and industrial professions, leading to a brand new experience. We all know it is easier to understand the research from the researcher and more helpful rather than reading it from the journal.